WhatsApp recently made a beta app available for the iOS platform. Now the news of the new feature has been reported on the beta app for the iPhone user. With the help of this feature, the iPhone user will be able to view the video found on the WhatsApp app in the push notification panel. This means that if you get a video on WhatsApp, you will not need to go into a private or group chat window to see it. It can be seen from the Notification panel only. According to the WABetaInfo report, WhatsApp has allowed the iOS beta user to watch the video directly in the push notification panel. The tipster has informed that the iOS beta users on the 2.18.102.5 version will be able to use the new features. How will this feature work in the notification panel? It has not yet been explained in detail. 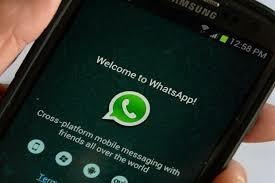 However, Whatsapp Beta Trekker has claimed that it will soon be released for a stable app. At the moment, nothing has been said about making this feature available on the Android platform. In this September, the notification extension feature was brought to the WhatsApp iPhone app. With this help, the user can view pictures and gif in the notification panel itself. Testing of video playing feature in beta version has begun. Now WhatsApp users can do a lot without opening the app. In the past, WhatsApp has released the Stickers feature on its platform to change the style of chatting after emoji. After the sticker feature, the company is now working on creating a search feature and custom sticker to find the stickers. Apart from this, according to WABetaInfo's report, the company is working on the "share contact info via QR" feature. By using this feature, users will be able to share their information easily through QR code.